Tampa International Airport is one of five Florida airports offering service to Cuba. After President Obama made changes allowing travel to Cuba in 2014, many companies lined up for access to flight routes to the island. With more travel restrictions in place, demand for flights to Cuba has dropped across the U.S. However, Florida still remains a hot-spot for travel to Cuba as the state has a large Cuban-American population. The changes haven’t made a huge impact as there are still daily, nonstop flights leaving from five major airports in Florida, including Tampa International. Airlines are now looking to move departures from cities with less demand to include more routes leaving from Florida. Johannes Werner, editor of online business site Cuba Standard, believes the restrictions are leading to less individual travel and more group bookings. Werner argues that travelers are not the main ones who will be affected by these restrictions. Most effects will be felt by private business owners in Cuba. Werner is optimistic that even though flights are shifting, airlines and cruises won’t pull out of Cuba saying the travel industry is “very aware” of the long-term potential of the Cuban market. Complete details on travel restrictions can be found on the U.S. Department of State Bureau of Consular Affairs page. President Donald Trump's Cuba policy is driving millions of dollars from the island's private entrepreneurs to its state-run tourism sector, the opposite of its supposed goal, according to new government figures. 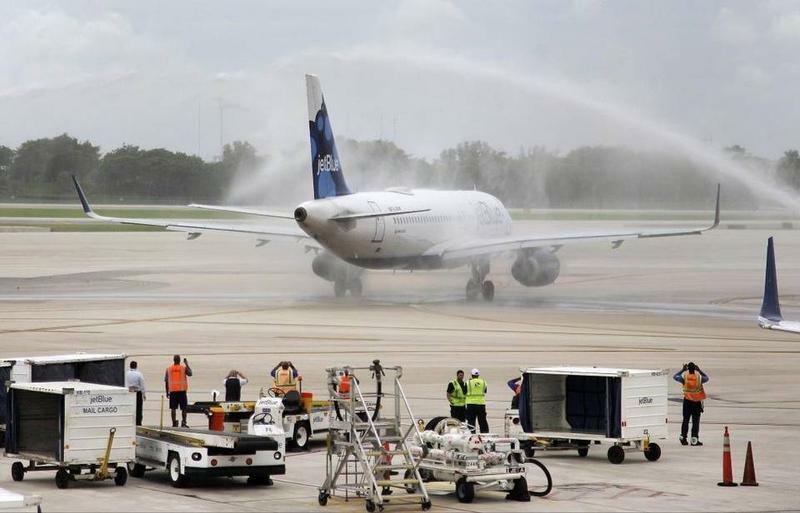 Last summer the first U.S. commercial flights to Cuba in more than half a century took off to jubilant fanfare - and landed to cheers and water cannon salutes. U.S. airlines were giddy about resuming commercial flights to the communist island. Southwest Florida International Airport began nonstop flights to Cuba on Monday. Choice Aire is the first airline to offer this service for the airport.